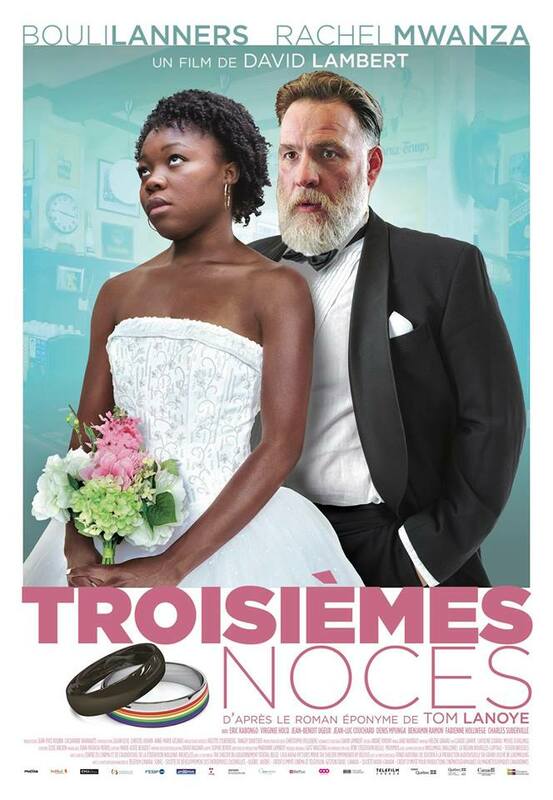 TROISIÈMES NOCES, a dramedy directed by David Lambert with Rachel Mwanza (Rebelle) and Bouli Lanners (Les Géants, Eldorado), is in Quebec theatres tonight! Recently widowed and overcome with grief, fifty something homosexual Martin accepts a friend’s proposition of a marriage of convenience to Tamara, a twenty-year-old Congolese woman. Different on every level, they’ll need to make their love believable to the authorities – but if they pretend long enough, they might learn to love each other… in their own way! You can catch it on the big screen in the following theatres: Beaubien, Quartier Latin and Le Clap Ste-Foy.